Improve Customer Service Through Bot Technology? What if a customer could have, and hold, a conversation with your business? How would that transform everything about the way people engage with your products and services? No, not a customer service rep; not a sales associate; or a human being on the other end of a phone or typing into a chat window. And no, not you. I’m talking about your brand itself. Sort of, but no, not in that context. I’m referring to basically an AI personality who represents your brand and interfaces with humans the way we clearly prefer to (verbally) communicate over multiple channels…especially when it comes to customer service. I’m talking about conversation commerce, which plenty of tech-vanguards believe will one day soon crush conventional apps, websites, and general means of commerce. But let’s define “increasingly using” with some figures, and I’ll be honest, I had no idea this is where we’re at already. I guess it sort of shocked me a little. Some predict by 2020, customers will manage over 80% of their relationships with businesses without interacting with humans. At some point, pretty much every business will have a messaging app. If you’re still a wee-bit lost, here’s a great video embedded below where 8 friends with different accents test out 3 popular voice-activated bots you might recognize – Siri, Echo, and Google Home. Again, if you represent a medium-to-large brand, then there’s no question IF your brand will have a customer service bot of some kind, but WHEN. Let’s look at why. Why Use A Chatbot for Customer Service? A bot can help unlimited numbers of customers simultaneously. Most folks couldn’t distinguish between a modern voice bot and a human call center-style customer service rep. The experience of interfacing with a modern bot is “better” or more rewarding in most cases (increasingly so) than interfacing with websites and apps. With bots there’s nothing to download. The moment you send a message via text or voice (trigger), you’re using it. Voice-based bots remove the need to physically interact with whatever device is being used as a medium. No typing, swiping, texting, etc. Sounds awesome, but you’re probably wondering whether it’s all hype. Where’s the concrete proof any of this tech-jubilee is going to boost your brand’s bottom line (among other ROI metrics like customer service, brand expansion, marketing, core process optimization, etc.)? Well, it just so happens Harvard Business Review recently published, “A Survey of 3,000 Executives Reveals How Businesses Succeed with AI” where along with the survey they incorporated 160 case studies across 14 sectors and 10 countries through a separate digital research program. 30% of early adopters in the survey say they’ve achieved revenue increases. These early adopters are 3.5x more likely to gain market share & grow profit margin. But hold on a second, because I’m not suggesting you hire Virtus to build a fleet of robots for you. We’re talking about customer service bots, and the use of simple machine learning technologies to make your bot better with each interaction. Yes, it’s simple compared to where current machine learning bots are. For an example, Elon Musk’s artificial intelligence company, OpenAI, recently created a bot who in record time learned how to beat human players at an online 1×1 real-time strategy game called Dota 2. Needless to say, handling a company’s frequently asked questions and handling calls, inquiries, and many other tasks is far less complex than what these bots are now capable of. So, where does the current tech really sit in terms of customer service? Let’s take a brief look. Niche: When a company has a set of FAQs with well-known and predictable answers, troubleshooting becomes as easy as pie. Bots are excellent when it comes to using well-crafted, scripted answers and expertly crafted decision trees. This is also the case with voice-bots who have demonstrated over a 90% resolution rate. High-Volume: Simply put, why would you pay for a bunch of phone reps, or invest in a call center service, if one single bot can help all your calls without problem – as many at a time as it has processing power to address? Multiple Steps: Think about the simple steps involved when you need to travel, book a room, figure out where to eat, and so forth. Current bot technology has this covered without a problem. Bots are using natural language processing to address multiple parameters. Low Stress: When callers are likely to not be annoyed or angry, bots work wonders. Globally, most people are neutral on bots vs. humans if bots can do the job just fine. But, when people are pissed off…they want to talk with another human. Obviously the applications within customer service are incredible. They will all but eradicate the conventional call center and are helping modern companies of all kinds not just survive…but thrive during these turbulent transitional times. 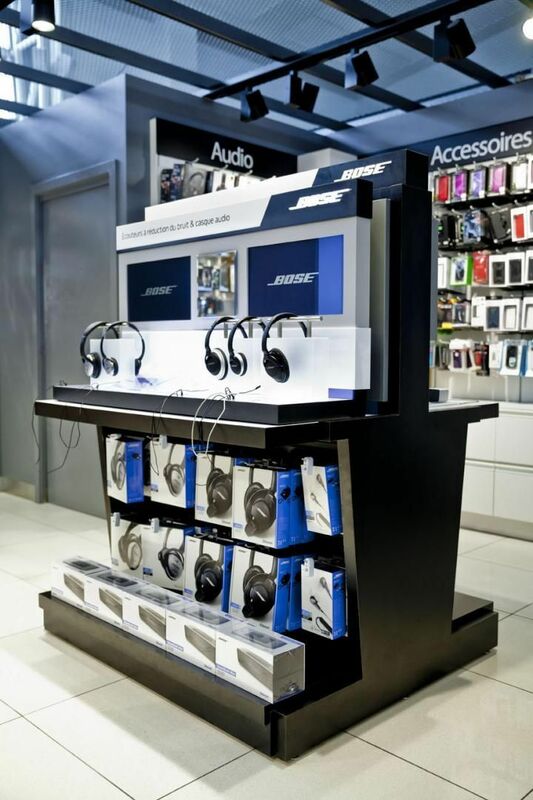 How about we take a gander at customer service from another angle – displays. In the retail display world, brands spend zillions of dollars building impressive, sleek, and modern-looking displays and get them into stores. Then they hire 3rd party labor companies (3PL), typically stay at home mom’s or minimum wage folks (no offense) to put them together on-site. And guess what, there’s a ton of things that go wrong with these installs. Items in the wrong location. Wires get crossed, and electronics malfunction. Now, to ‘confirm’ displays are correctly setup, installers take a picture before they leave the store which is put into a CSV file so that at the end of the project they can provide gathered info to the client. Keep in mind these deployments can be anywhere from 500 to 5000+ locations, so someone basically has to go through and manually look at each picture to determine if it was installed correctly. There’s a lot of error there as well, as you can imagine. No human can catch everything. These people might be looking for a specific thing, say a particular graphic, and not even see the product being displayed isn’t secured well… or it’s installed wrong. Virtus didn’t work on this particular display for Bose, but as you can see, there’s plenty going on in terms of presenting the products and giving people the ability to interact with them. The entire table is built somewhere and then sent into retail locations where 3rd party reps put the complex setup together. Again, the picture above is a perfect example of one sent by installers. Is everything correct there? Maybe, and then again, maybe not. What if we’ve designed a custom interactive display to go with the headphones? Now imagine having to look through thousands of these to determine where errors were made. When a company like Bose has a plan and they’re spending millions on executing it they get picky about every detail. If you improved the percentage of perfect and working displays by 50%, that would really add to overall brand impression, customer service at the displays themselves, and sales. AI and customer service, regardless of your industry or niche (with some exceptions of course), are already coalescing. Some is being seen in terms of voice/text bots that handle inquiries and common questions, while other investments are putting AI at the center of many other aspects of commerce. Let us know if we can help you and your brand integrate AI technology.